CapeChaser Tweet-Summary: The Vril are an urban legend popular among conspiracy theorists. According to the legend, they are supposedly a holdover from the second world war, who dream of restoring the Third Reich using advanced technology gained from a lost civilization. Legal Status: If the Vril do exist, they would likely be considered either war criminals or terrorists. Location: Conspiracy theorists claim that the Vril have bases hidden everywhere, even on the Moon. Notable Members: None, although some have tried to claim various celebrities and politicians were secret members, or lizard people, sometimes both at once. Stated Purpose/Goals/Motives: According to the conspiracy theorists, the Vril have the goal of a Third Reich one world government. Exploits: Article reprinted from the October 31, 2013 issue of the Titan Chronicle, special Halloween section. Written by Anton Knight. In the annals of World War II, there have been many tales of the Painfully Ordinary programs put forth by the Third Reich. From their Ubermensch chemical augmentation program to the genetic alteration of animals to create beasts of war, it is well documented that, to the scientific arm of the Nazi party, there was no such thing as an experiment they would not attempt in order to gain an edge against the super powered elite of the Allies. One of the lesser known programs, however, was the attempt to find, and then utilize, the forgotten technology of what they knew as the Aryan race. They had built up a huge mythology about it, believing even that the Earth itself was hollow, and that the entrance to the interior, where all of the Aryan technology awaited, was to be found in Antarctica. Now, the Antarctican mission at the end of the war is well known, as is the fact that the hidden base they had built near the south pole was destroyed by a surprise Soviet raid. What is not well known is what the inspectors of the base found, but thanks to new documents uncovered after the fall of the iron curtain, we can reveal to you now. The base which was destroyed they found not staffed by a dozen scientist officers, but manned with hundreds of men. Even more alarming, each of them was carrying weapons which, upon casual inspection looked to be normal German weaponry that when examined closer were found to be highly unusual. Rather than being assembled, the components looked to be a completely solid object, with only the moving pieces independent of the main assembly. No seams, no bolts, no welds, as if the entire system was manufactured out of a piece of metal. Then there were the bodies themselves. For all of the talk of a master race, Germans were as diverse in height, weight, and facial feature as anyone else. But not these soldiers. According to the records, every single one measured 184cm tall, and weighed 82kg. And the faces, while not identical, looked as if close relatives, brothers, and of a uniform age. Even more unusual, the autopsies made particular note that none of the cadavers had a navel, nor any scar as if the bellybutton were removed. Outside of the base, there were round indications in the ground, as if there had been something resting in those spots beforehand. The purposes of these have never been resolved, nor have whatever had rested there located. Within the facility, the majority of the records were burned, but a few fragments survived. 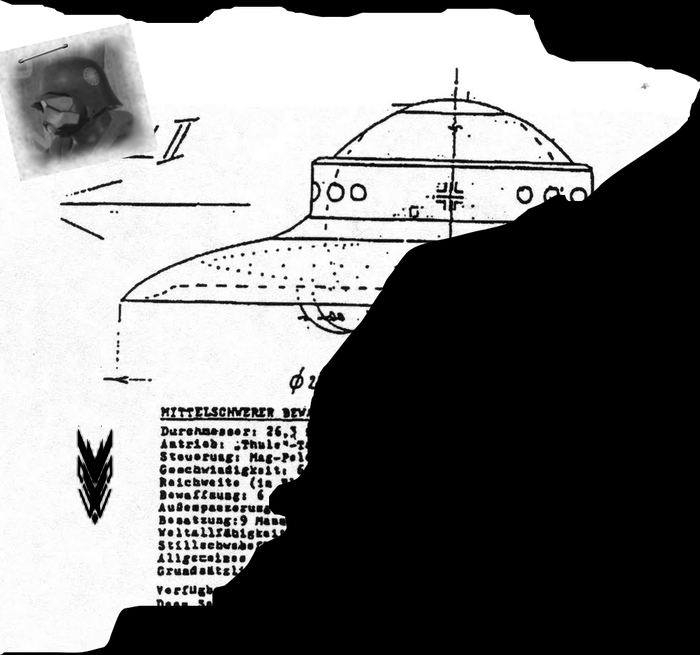 These fragments discussed a facility known only by the code name Vril. In Nazi mythology, Vril was the term for a “life giver” in a novel popularized in Nazi Germany at the time. Included on these fragments was a symbol, the Black Sun of the Thule Society, a band of Nazi occultists who all had thought were extinguished years before. 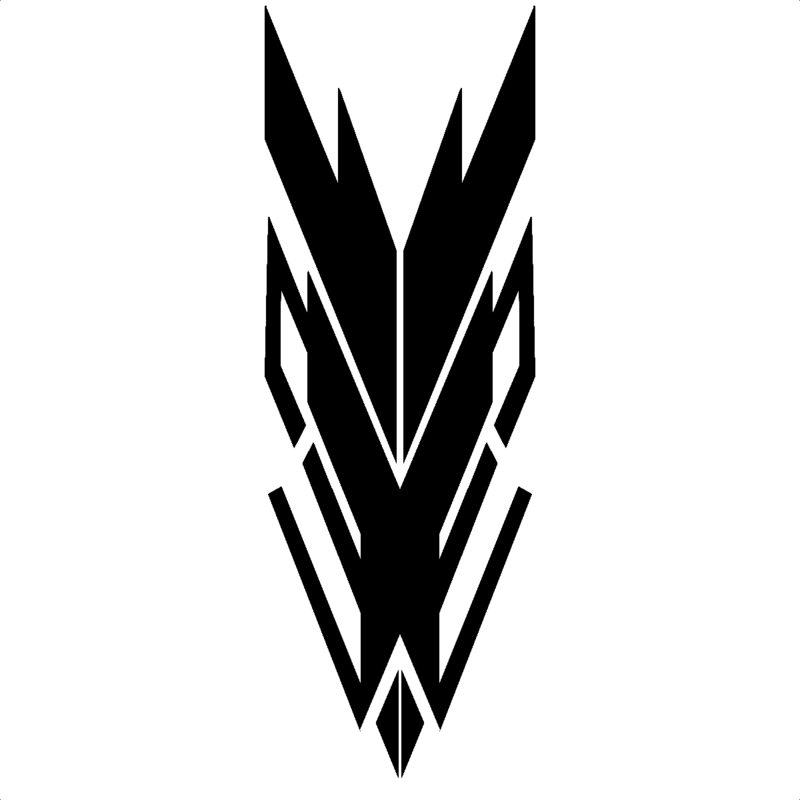 This same symbol was found on the armor of all of the soldiers which had been killed, adorning their helmets and chests. Whatever this Vril is, if it ever existed at all, there has remained a school of thought focused on this strange incident. Whispers and conspiracy thoughts that they had indeed found this “Vril” and were now in control of the most powerful energies known to mankind. Serious scholars scoff at the thought of a hidden band of Nazis still existing, hiding out ready to strike at some point in the future. They dismiss claims by others of seeing flying disks, UFO's, sporting the Black Sun, or of strange masked soldiers who answer to none yet stand in support of them. But to those who believe, it is all too real. With the real worries of the modern world, where a lone figure such as Cumulus Rex can destroy a city in a night, worrying about strange leftover soldiers from World War II seems almost quaint. But in the shadow, some people continue to insist, the Vril are waiting, watching, and preparing for their time to strike. Combat Information: If the legends are true, would be facing WW2 soldiers armed with advanced technology from a lost civilization from within the Earth itself.